It is tricky with these sorts of “positive discrimination pieces” to avoid profiling the women as “exceptional one-offs” and separate from mainstream composers. Really everyone just wants to be evaluated by their musical contributions not their gender. I have tried to include a range of composers – both high and low profile – including of course the best kept secret about the huge numbers of Australian women composers. Enjoy the words and the music! Beecham was obviously wrong. Sutherland and her contemporaries were part of a worldwide surge of women composers establishing their presence in the male-dominated world of composition. In fact Beecham later recanted and became a champion of Ethyl Smyth’s music. Research is showing increasingly that women have been active as composers throughout western music history, traceable back to Hildegard von Bingen in the 12th century. Perhaps there have not been as many women as men but they have always been there. Unfortunately too many of them have slipped out of the pages of music history. Loss of visibility is not an issue unique to women. Some of the greatest male composers disappeared into obscurity after their death. Where would the music of Bach sit in the ‘canon’ without its revival by Mendelssohn in the 19th century? Similarly there is a growing awareness of the significant contributions of many ‘invisible’ past women composers. 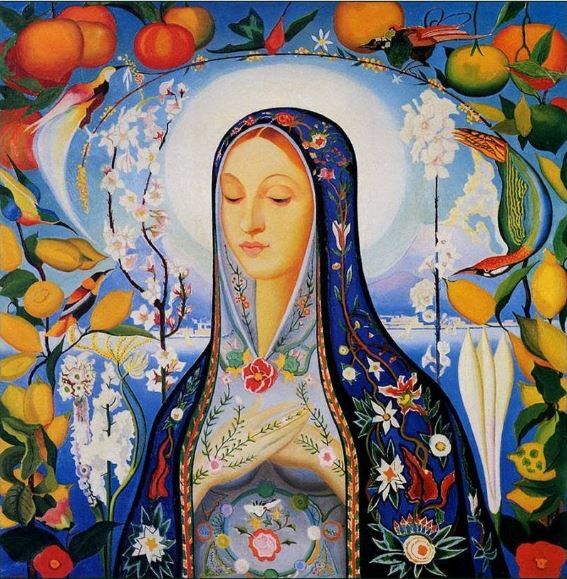 The rediscovery in the 1980’s of the extraordinarily accomplished abbess Hildegard von Bingen (1098-1179) is one example. Von Bingen left behind one of the largest repertoires of any medieval composer including her Play of the Virtues which predates the earliest morality play by more than a century. Her works are accessible to us because they were notated and preserved down the centuries in the monastery system. In the centuries after von Bingen musical composition was restricted to the aristocracy and abbeys where women had access to learning and the leisure time to create. An organ hymn setting from 1557 by Spanish nun Gracia Baptista is regarded as the first work published by a woman. Three years later Maddalena Casulana published the first book of madrigals. Little is known about the composer although the dedication in the front of the book states her aspirations clearly: ‘To show to the world the foolish error of men who so greatly believe themselves to be the masters of high intellectual gifts that cannot, it seems to them, be equally common among women’. The courts and nobility of the Baroque era supported the careers of several notable women. Francesca Caccini (1587 – c.1641) was educated by her father in music and humanities and was the highest paid musician hired by the Medici court. Her opera La liberazione di Ruggiero dall’isola d’Alcina was performed in Florence in 1625, the first opera by a woman. In France the child prodigy Elisabeth Jacquet de la Guerre (1665-1729) had similar success in the court of Louis XIV composing across an unusually wide variety of forms including opera, ballet, keyboard music and Italian genres such as cantatas and trio sonatas. The famous singer Barbara Strozzi (1619-1677) published her book of solo madrigals in 1644, part of a printed output which made her the most prolific composer – man or woman – of printed secular vocal music during that time in Venice. Her monastic equivalent was Isabella Leonarda (1620 –1704) whose nearly 200 compositions written from the convent in Novara makes her one of most productive women composers of her time. During the 18th century women tended to write music for instrumentation they had access to – miniatures, songs and chamber works. But this was also the beginning of the Age of Enlightenment and some composers had greater ambitions: Camilla de Rossi (c.1670–c.1710)was commissioned by Joseph I of Austria to write four oratorios. 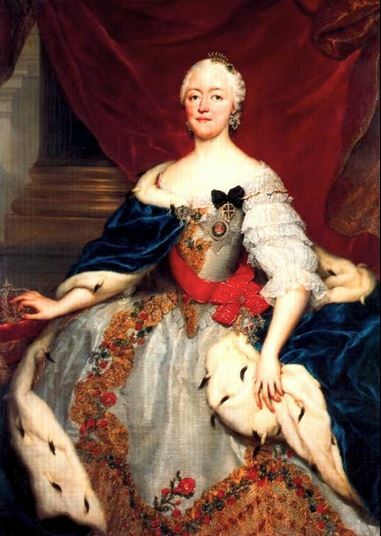 The Bavarian princess Maria Antonia Walpurgis (1724-1780) was a member of Rome’s operatic institution Accademia dell’Arcadia and sung the leading role in her opera Talestri regini della amazoni which was published by Breitkopf, unusual for opera at that time. She also founded a textile factory and brewery, had nine children and acted as joint Regent for five years. In the early 19th century the expanding economy and middle class meant there was an increased interest in the arts and music. Sophie Bawr contributed the first published history of women in music in the Encyclopedie des dames (1823). 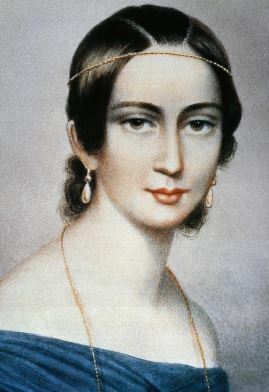 In this era it became possible for performers and composers to build careers from public concerts and Polishcomposer Maria Szymanowska (1789 – 1831) was one of the first professional virtuoso pianists of the 19th century. A decade ahead of Liszt and Schumann she toured extensively throughout Europebefore settling permanently in St. Petersburg where she composed for the court, gave concerts and taught music. In her influential salon she hosted the likes of Rossini, Hummel and Goethe who is thought to have fallen in love with her. It was also possible for someone like Maddalena Sirmen (1745-1818) born to poverty-stricken parents to build an international musical career. She studied music at a Venetian orphanage and became a renowned violinist. Her compositions were performed throughout Europe and praised by Leopold Mozart. We have the middle class, arts-loving families to thank for producing Clara (Weick) Schumann (1819 – 1896) Fanny (Mendelssohn) Hensel (1805 –1847) and Louise Farrenc (1804-1875). The restrictions on these talented women are well-documented. Abraham Mendelssohn provided an excellent education for his precocious children Fanny and Felix. But when Fanny was fifteen he cautioned her saying “Music will perhaps become his [i.e. Felix’s] profession, while for youit can and must be only an ornament”. 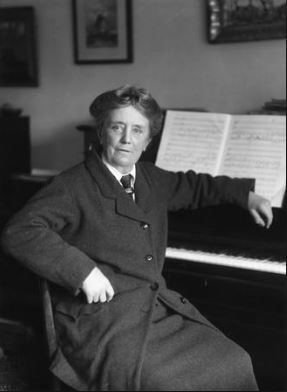 At the turn of the century Ethyl Smyth (1858–1944)wrote her opera Wreckers which was premiered in Leipzig in 1906. Three years later she wrote March of the Women in support of the Suffragette movement and in 1922 she was the first woman to be made a Dame of the British Empire. Ethyl Smyth studied in Leipzig where she met Tchaikovsky, the Schumanns and Brahms. Smyth’s contemporaries included Amy Beach (1867-1944) in America; Lili (1893-1918) and Nadia Boulanger (1887-1979) and Germaine Tailleferre (1892–1983) in France and Elisabeth Kuyper (1877 -1953) in the Netherlands. The increasing numbers of women composers in the twentieth century coincided with the rise of feminism. Women were given the right to vote and with the outbreak of the First World War more women began to move into the workforce. English violist and composer Rebecca Clarke (1886-1979) paved the way for women musicians to be included in orchestras when she was appointed to the Queen’s Hall Orchestra in 1912. The river of music that had flowed from the Baroque era through the Classical and Romantic periods had begun to branch into multiple streams and in the upheaval women composers managed to find a toe-hold. 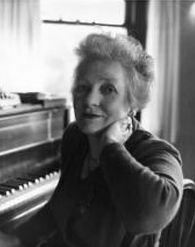 During a time when it was still thought disrespectful to pursue composing beyond the domestic sphere Australian composer Peggy Glanville-Hicks (1912-1990) wrote eighteen orchestral works, five operas and eight ballets. In England composer Elizabeth Maconchy (1907-1994) wrote at least 40 orchestral works and thirteen string quartets. Elisabeth Lutyens (1906-1983) is credited with bringing Schoenbergian serialist technique to the UK and became known as the horror queen for her prolific scores for horror films. Meanwhile in France the influential Betsy Jolas (b1926) replaced Olivier Messiaen at the Conservatoire National Supérieur de Musique of Paris and through her music and teaching has influenced a generation of American and French students. 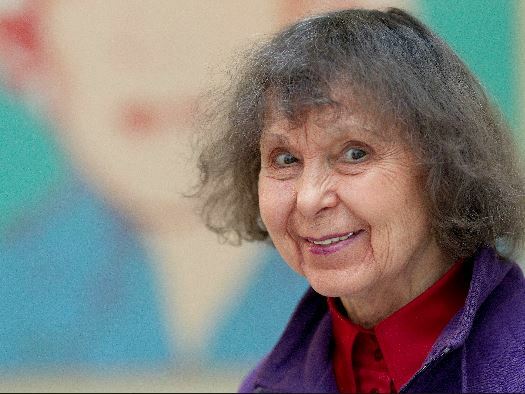 The music by Sofia Gubaidulina (b1931) was deemed “irresponsible” during her studies in SovietRussia due to its exploration of alternative tunings. She was supported however by Dmitri Shostakovich who encouraged her to continue down her “mistaken path”. Her music has since become internationally lauded. Florence Price broke new ground in America when her Piano Concerto was performed with the Chicago Symphony Orchestra in 1933, the first African-American woman to have a work performed by a major American orchestra. One of the most-performed composers in the US is Ellen Taaffe Zwilich (b1939) who was the first woman to be awarded a Pulitzer Prize for music in 1983. The development of contemporary classical music in America was assisted by Grammy Award winning composer Libby Larsen who co-founded the Minnesota Composers Forum, now the American Composers Forum. Pauline Oliveros co-founded and directed the San Francisco Tape Music Centre (later Centre for Contemporary Music). Oliveros is best known for forming the Deep Listening aesthetic which has almost become a franchise with a training institute, albums, retreats and an ensemble. In the 21st century women have moved into the celebrity spotlight. Today Elena Kats-Chernin, Laurie Anderson, Unsuk Chin, Jennifer Higdon and Kaija Sariaaho are likely to rank higher on the international circuit than their male contemporaries. The boundaries of classical music have never been so broad and now include electronics, noise, sound installations, experimental and ambient music. Leading the charge are Australian women, following the path pioneered by Margaret Sutherland. Today the Australian Music Centre database shows 25% of Australian composers are women – more than most other western nations where women tend to make up 10-15% of the composers. Much has changed since the days of Sutherland when her psychiatrist husband considered a woman composing music to be a sign of mental illness. Three generations later it is considered unremarkable that a composer like Liza Lim will have her fourth opera premiered by Opera Cologne (on 9th April) or that there will be concerts dedicated to the music of Mary Finsterer (Melbourne Recital Centre on March 21st) and Sarah Hopkins (LIFT Gallery, Maleny, QLD March 13th). Also this month Ros Bandt’s sound sculpture Moonah Dreaming ‘for ruined piano excited by wind recordings’ will be part of the Lorne Sculpture Bienniale and Thoroughbass Ensemble will be touring Ann Carr-Boyd’s Crimson Rosella for two harpsichords through regional NSW before the work receives its European premier at the Geelvinck Early Music Festival in Amsterdam in October. This snapshot of women composers is by necessity brief and in no way exhaustive. Around the world there are many, many more. Yet the myth is still being perpetuated that there are no great women composers. As recently as 2015 the UK’s Spectator newspaper published an article criticising the decision to include women composers in the A-level music syllabus. Music by Clara Schumann and Fanny Mendelssohn was described as “embarrassingly banal” and “bloody awful”. Similar alarming patterns are emerging in Australia’s new music scene. Sally Macarthur’s essay in Musicology Australia (Vol 36 No 1, 2014) used evidence from concert programs and commissions to argue that the representation of women composers is worse now (11%) than in the nineties (35%). A 2013 survey of international electronic artists found similar results. The 2015 government funding cuts to the Australia Council are likely to be particularly damaging for women already struggling with visibility and inclusion. New research into the area has been commenced by Associate Professor Macarthur, Associate Professor Cat Hope and Professor Dawn Bennett to gather more concrete data on gender and composition internationally. So how to redress the visibility issue? Macarthur suggests music by women will continue to struggle to be heard unless ongoing mechanisms are implemented to ensure women get equality of opportunity. Hope argued in her keynote address for the 2015 Australasian Computer Music Conference that it is time for men and those in power to start carrying the torch. The simplest way to redress visibility issues is to celebrate what we do have. Fortunately our increasing knowledge of past composers is making that easier and the success story of Australian women composers means we have plenty to celebrate. Because there are women composers, there always have been and there always will be. This article was first published in Limelight Magazine March 2016.